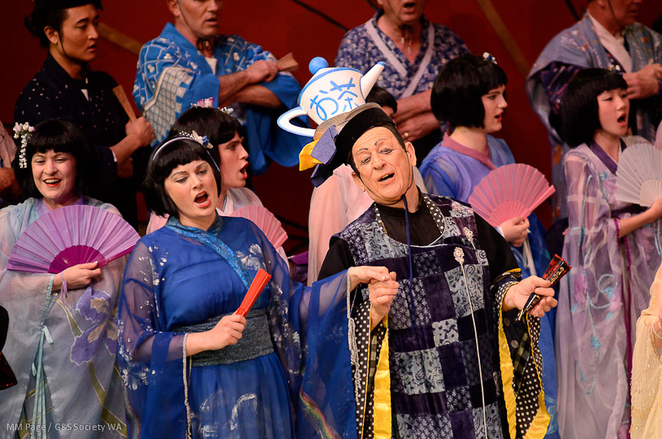 The Gilbert & Sullivan Society of Western Australia is proudly presenting The Mikado, one of Gilbert and Sullivan's most-loved musicals this autumn. This strictly limited season (from May 2 - 11) will play at Dolphin Theatre, The University of WA. It is suitable for all ages. Tickets are now on sale (9 shows only) and selling very fast! Get ready to enjoy an exotic gala of hilarious comedy and a spectacular visual and musical feast. 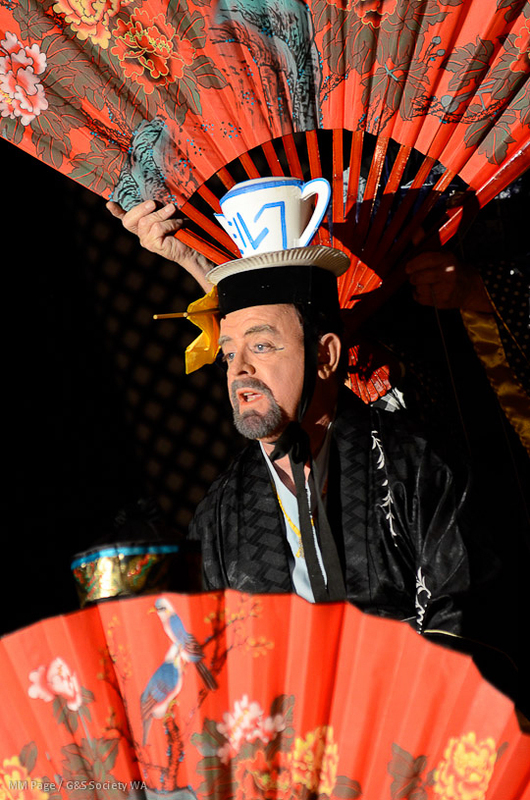 Directed by Paul Treasure, The Mikado will be brought to life with a talented cast of thirty accompanied by a live orchestra, under the musical direction of Georg Corall. Gilbert's wicked humour and Sullivan's beautiful tunes will have you laughing from start to finish and humming long after you leave the theatre. 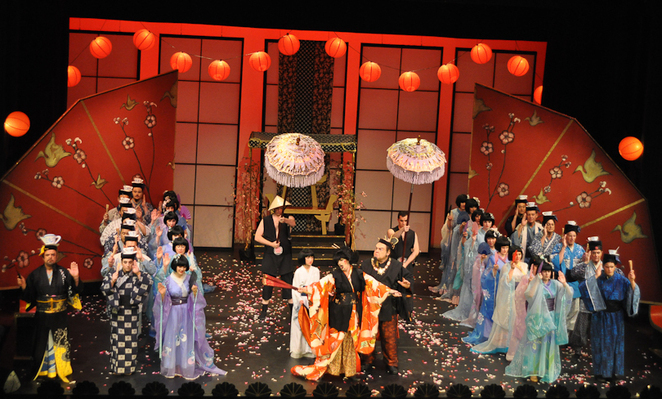 Set in imperial Japan, but about as Japanese as your great aunt's 'rhubarb and rose' bubble bath, the Gilbert and Sullivan classic is a side-splitting comedy about 'forbidden love', where even flirting is crime. 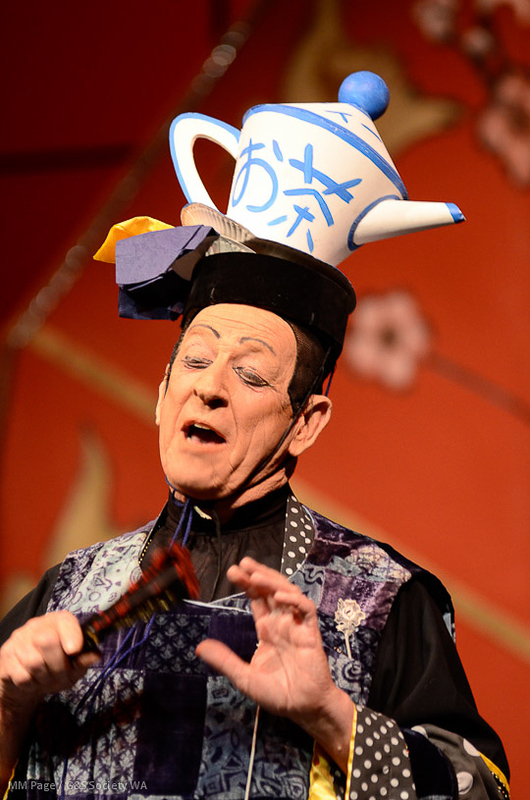 In fact, the Emperor, the Mikado himself has just decreed that flirting is a capital offence, punishable with death by decapitation! All Japan is in a frenzy as young and old lovers alike pursue each other while trying to avoid ending up on the Lord High Executioner's infamous blacklist. The deadly plot thickens when the Emperor's son, Nanki-Poo, disguised as a 'wandering minstrel' to evade the clutches of the besotted arch-courtesan, Katisha, falls in love with one of the 'three little maids', Yum-Yum. Unfortunately, Yum-Yum is betrothed to Ko-Ko, none other than the Lord High Executioner! Meanwhile, Ko-Ko, under strict orders from the Mikado to carry out a decapitation or two, is gleefully putting together a list of those 'who will not be missed'. Production Manager of The Mikado, Max Page, whose G&S career spans over four decades, said The Mikado was a timeless fantasy of mischievous humour at the expense of the overly self-righteous and pompous in all cultures. 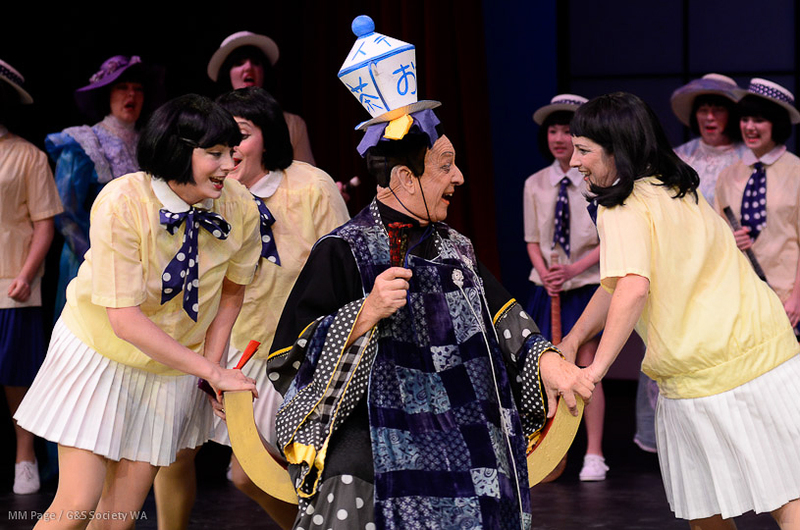 "The Mikado is a wickedly funny and self-aware comedy that revels in its gleeful teasing of the overly grand and pompous at virtually all levels of society," he said. "The outrageous plot twists, the self-absorption of the characters, and the unrestrained silliness combine to create one of the most enjoyable experiences in the musical theatre." 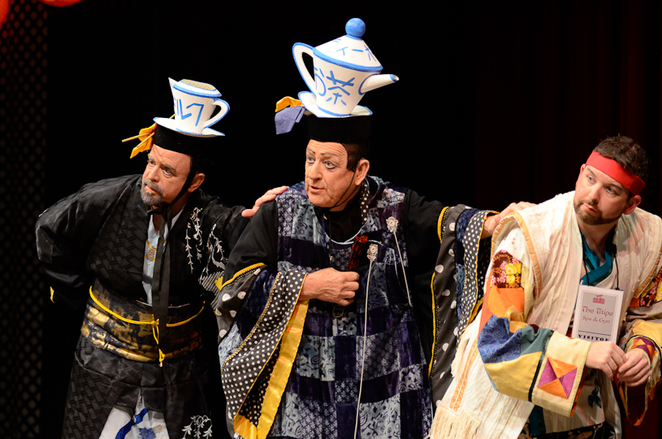 A 'bucket list' priority since it premiered in 1885, The Mikado is a 'must see', at least once before you die. 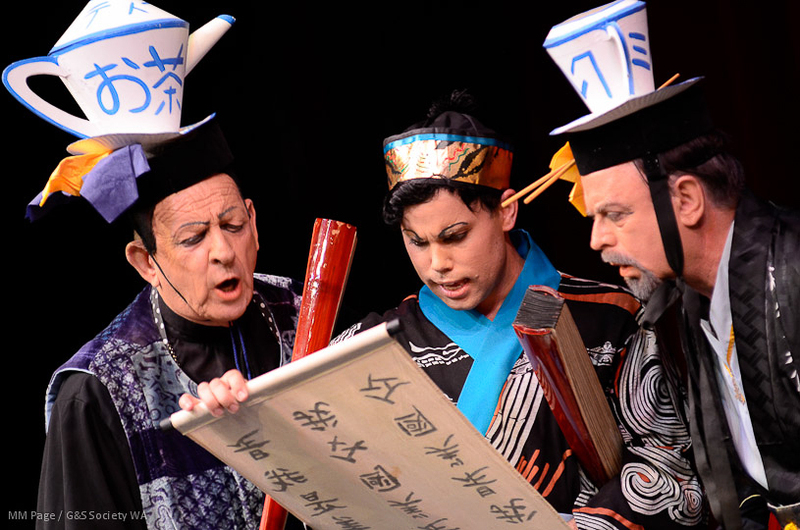 Of course, once seen, you will want to see it again and again, such is the magic of The Mikado. So, go on, put it on your list, before Ko-Ko puts you on his! Tickets are extremely limited. Bookings can be made 24/7 at www.ticketswa.com (no online booking charges) or on 6488 2440 between noon and 4 pm Monday to Friday. Tickets are priced from $19.90 to $59.90. Photos of the 2012 G&S WA production of The Mikado by Michael Page. Founded in 1951, The Gilbert & Sullivan Society of Western Australia has produced over 100 productions of Gilbert & Sullivan's extraordinary contribution to the musical theatre. Founded by Bernard Manning, the Society is supported by The Gilbert & Sullivan / AN Bullock Trust created in 1983 through the bequest of the late Arnold Bullock. Distinguished entertainer, Max Kay became the Patron of the Society after the late Sir Charles Court. Over seven decades, the Society has brought laughter and joy through the comedy and melody of W. S. Gilbert and Arthur Sullivan to generations of Western Australians.